Why Relief? As ceramic artists, we need to not only understand sculpting in the round, but surface depth and space as well. 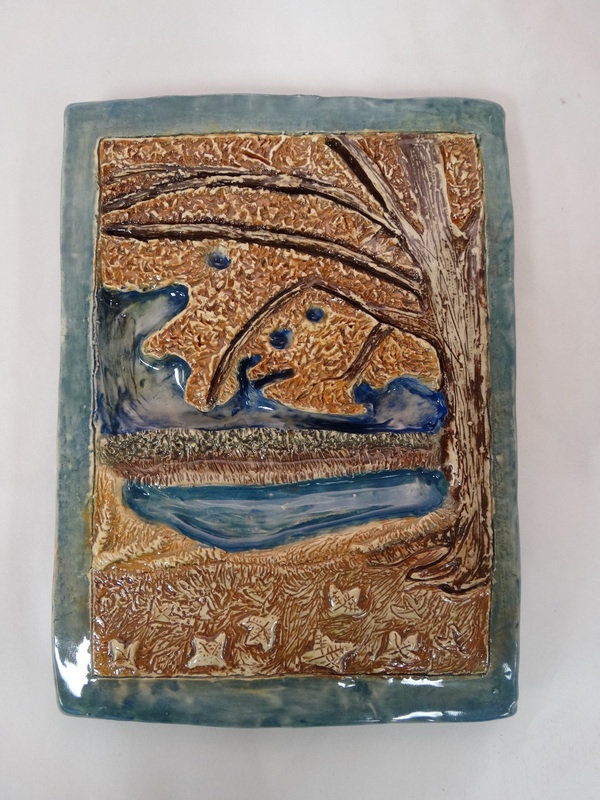 Goals of the Assignment: Students will create a relief tile inspired by Rookwood Pottery demonstrating various sculpting and subtractive carving techniques. Students will use form and space to create the overall depth of the relief tile and they will use line, shape, color and texture to enhance and enrich their form.